Cummins is the world’s leading power equipment manufacturers, design, manufacture and distribution, including fuel systems, control systems, air intake treatment, filtration systems, exhaust gas treatment system and power system, engine and its related technology, also providing related after-sales service. From 1980s, Cummins start to invest in China, until now there are 5 engine plants in China, all the are the Joint Venture Company. Engine Advantage: Feature with superior performance, high combustion efficiency, fuel efficiency, it can provide strong driving force, good durable economic, easy maintenance, and long continuous running, etc. 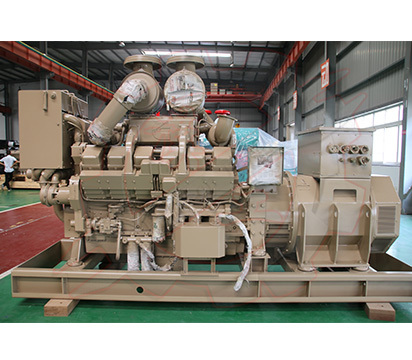 As high quality marine Cummins power genset, the marine genset are suitable for sea areas as draining water ship, tugboat, fishnet ship, freighter and digging-ship etc., working as electric power and can be used as Marine Main Generator set, Marine Emergency Generator Set or Harbor Generator Set. The service network of Cummins can provide customers with reliable and guaranteed service. It is welcomed by the most of customers. 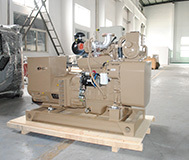 Alternator Options: The Cummins Marine Generator Set can be coupled with Stamford, Marathon, Leory Somer, Alternator according to customers’ demand. Cummins marine generator set power range from 30kw up to 1000kw, powered by Cummins marine engine 4B3.9 Series, 6B5.9 Series, 6C8.3 Series, 6L8.9 Series, NTA855 Series, KTA19 Series, KTA38 Series and KTA50 Series. 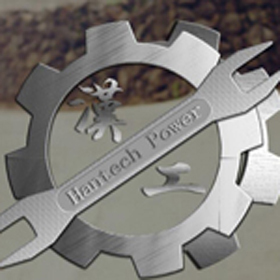 Hantech Power can provide the Cummins Marine Generator Set with CCS, ABS, BV, DNV, LRS Certificates for the clients’ special requirement, meet requirements of IMO for NOx standard, which can provide a reliable guarantee for your ship and equipments. 1. 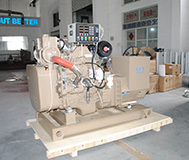 The above 700KW Cummins marine generator set is based on 380V, 50Hz, other special voltage(220/380V, 230/400V, 240/415V, 250/440V) can be satisfied, the frequency 60Hz can be for your option. 2. 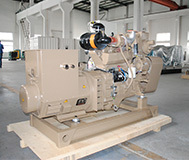 The 700KW Cummins marine generator set can be coupled with 8, 12, 24 hours basic fuel tank. 3. Each Marine Generator Set is subjected to a comprehensive test program which includes 50% load, 75% load, 100% load and 110% load. 4. 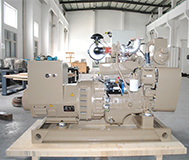 If you need the marine generator set with CCS, ABS, BV, DNV, LRS Certificates, kindly inform us in advance.